It was Kieron Pollard who achieved Mumbai Indian to a thriller win in 24th match IPL 2019. Watch KL Rahul's 1st IPL century and Pollard power in MI vs KXIP IPL 2019 highlights. Kieron Pollard was the captain of MI for this match, has played in Wankhede Stadium, Mumbai on 10 April 2019. Friends, this match was full of memorable facts for many players. Such as KL Rahul got his 1st IPL century, Kieron Pollard's amazing inning as a captain, Siddhesh Lad's debut in IPL with a six and so on. 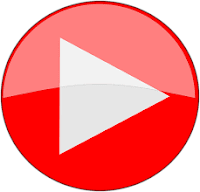 All you can read and watch in MI vs KXIP IPL 2019 highlights. Mumbai Indians won the toss and decided to bowl first that's why KL Rahul and Chris Gayle started the inning for KXIP. They had given a solid start with 116 runs partnership for the 1st wicket 12.5 overs. Chris Gayle scored 63 off 36 before losing his wicket. He smashed 3 boundaries and 7 sixes in his inning. Thereafter KXIP lost the wickets at regular intervals. But KL Rahul remained not out and got his 1st IPL century. He scored 100 runs with the help of 6 boundaries and the same number of sixes. Hardik Pandya got 2 wickets while Jaspreet Bumrah and Jason Behrendorff got the 1-1 wicket. KXIP scored 197/4 in 20 overs in this MI vs KXIP IPL 2019 24th match. Rohit Sharma was absent due to injury on the leg during the practice session. Keron Pollard was the captain of Mumbai Indians for this match. It was Siddesh Lad who debut in IPL and smashed a six on very 1st delivery he faced. But he could score only 15 runs with the help of 1 boundary and 1 six. At a time, Mumbai Indians was at 94/4 in 12th over. But thereafter Kieron Pollard started his blast. He smashed 3 boundaries and 10 sixes in his inning of 83 off 31. Quinton de Kock 24, Suryakumar Yadav 21, Hardik Pandya 19 and Alzarri Joseph well supported with 15 runs in this thriller win. Mohammad Shami got 3 wickets in this MI vs KXIP IPL 2019. While Ankit Rajpoot, Sam Curren, and Ravichandran Ashwin got the 1-1 wicket. Mumbai Indians got the winning target on the last delivery of the inning. 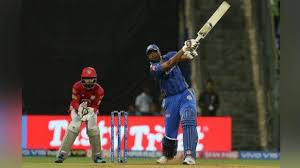 Mumbai Indians scored 198/7 in 20 overs and won this 24th match of IPL 2019 by 3 wickets.